A large part of what we do at Origin Fitness is helping people create the perfect space for their fitness business. We realise that for many, selecting the right facility can be a daunting task. Here are some pointers to make sure you choose the right space to start your journey. When thinking about location, consider a space outside or around the edge of your town or on people's route home. Give thought to your target market and where they live/work as this will allow them to get to you before work, during lunch, or in the evening. Your location needs to be as easy as possible for people to access with parking often being a key factor in potential member's decision-making. Also, consider the look and feel of the location – does this mirror your business model and clientele? The main considerations you have to take when seeking out locations is the trade off between size of unit, location and cost. You need to decide what's most important to you; the dream space or ideal location. To help you get started, get yourself a good surveyor who can assist in finding you the right location. You can also drive around your chosen area and look at the "To Let" boards, a simple but surprisingly effective method of seeking out potential spaces. Many of our existing customers have succeeded in using their location to their advantage. Take CaveFit, which is located on an industrial estate by the shore of Edinburgh. Their clientele spans across genders and ages, but their training style is raw and tough, just like the area they are located in. 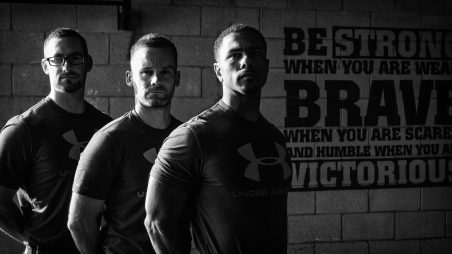 They have built up a unique approach to a functional training business, and the members buy into this style and the community formed around it. G2G Coaching is a personal training studio located right in the centre of Edinburgh where the coaches deliver high-quality personal training. This is ideal for any clients that work in the centre and want to get their session in before they head home. 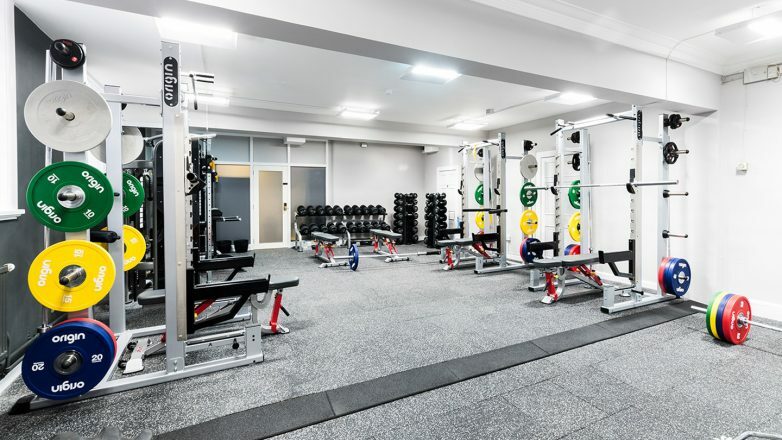 The facility is kitted out with high quality, specific strength training equipment, which allows them to deliver premium strength training to their customers. Finally, Xercise4Less have a strategy for finding their locations, which allows them to create spacious, unique gyms for their members. By actively looking for gyms on the outskirts of larger towns, they can invest in larger spaces which allow them to create a training environment where users get more bang for their buck. You won't be able to find many similar sized facilities with indoor running tracks in the centre of town. These businesses knew their clientele and their approach to fitness and used this when looking for their space. In the UK, commercial properties have been categorised under a set of classifications to indicate the type of use the building or space is fit for. Gyms and personal studios fall under the same classification as cinemas, pools and other mass entertainment facilities, namely D2. This is due to the high expected noise levels and footfall. When looking for your space, it is important to keep this in mind. Firstly, you must ask the letting agent what the current usage of the building is and if it isn’t currently D2, then you need to find out what the chances are of getting this changed. You should contact your local town and planning department regarding the application. The two key factors that the council will take into consideration when applying for a change of use are noise and parking. If there is not sufficient parking for your planned facility there is a very good chance your application will be turned down. If you are in or near a residential area you may get rejected due to perceived noise levels. You can sometimes get around this by supplying details of what you do and what you plan to do to reduce the risk of noise complaints. Think about health and safety regulations, fire doors, exits, and insurance. Getting any of these things wrong will be costly to fix on a whim, and may also leave you facing legal action. Make sure you have all of your insurance and safety procedures in order well in advance of opening to the public. Once open, remember to review your procedures regularly and ensure that all of your members and staff are familiar with them. Think positively and think smart - your facility should be big enough to allow for growth. You'll limit yourself if you open a facility that can only accommodate your current client base. You can bring in other coaches in the short term, but at some point (if things go to plan) you will need more space. Plan for this when looking at potential facilities. Have a look at the three sample facilities below. 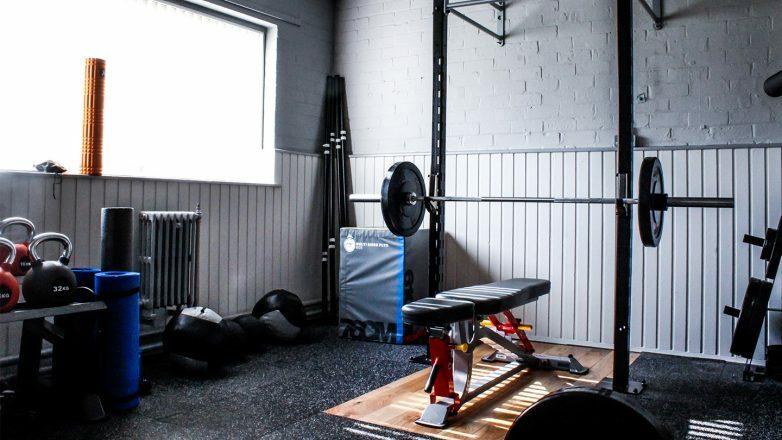 These examples may give you an idea of how to blend the right equipment with a perfect layout, to allow you to be sure you have enough space for the potential number of clients you will be training at any given time. Equipment placement and layout will help maximise the space; In most instances, you will not want to fill all of the space with large items of kit as this will detract from the flow and reduce the amount of available floor space. When outlining your budget for your new fitness business, think realistically about your predicted overheads and rent in relation to your projected membership, business model and pricing. If you have any questions about any of the topics in this article, or want to find out more about setting up a new fitness business, please don't hesitate to get in touch via 0333 2000 750 or email hello@originfitness.com. This entry was posted in Knowledge & Advice, Gym Owners Advice on 4th October, 2017 by Euan Millar.